¡Sí, jojoba! Pronounced ho-ho-ba, not only is this little powerhouse ingredient fun to say, but we're 99% sure that it's almost magic since it works maravillas on hair, nails but more importantly, skin. Jojoba oil is an absolute must in any Latina's skincare regimen and ritual, so we’re giving you a crash course ¡ahóra mismo! SO, WHAT IS JOJOBA OIL? Jojoba oil is liquid wax that’s extracted from mature jojoba plants, which can be found in Northern Mexico and the Southwest United States. Indigenous groups in the Americas were actually the first to discover the benefits of this magic shrub and ate the seeds to relieve pain, suppress hunger, but its incredible ability to accelerate healing wounds how jojoba oil found its way in skincare. Nourishes: Stuffed with antioxidants and minerals like zinc, vitamins B and E, and copper, ya sabes que you're getting something amazing. Moisturizes: Jojoba oil has been proven to provide long-lasting hydration. You can now wake up refreshed without using such a heavy, pore-clogging moisturizer. No greasy residue: Oh, yes jojoba is hydrating, but don’t think you’ll be rocking that oily sheen forever! Since it mimics our own skin oils, jojoba dives deep into pores and penetrates skin easily. This helps skin look smoother and radiant, without the slickness. Anti-microbial: Bacteria? ¡Guácala! Jojoba helps prevent bacteria growth, heal scars, and keep acne in check. All of this so you can rock effortless slayage all day. Speaking of acne, jojoba oil also keeps oil production balanced to minimize breakouts. Do you need any more reason? See? ¡Es facil! Now, you can make jojoba oil a staple in your skin care routine and live your best life with skin smoother than baby nalgas. If DIY skincare recipes aren't your thing, esta bien! We're offering a chance for you to try the amazing powers of Jojoba Oil, absolutely free. YES. ONE FREE WEEK OF SKIN CARE. Latinas report higher incidences of excess oil, hyper-pigmentation and stubborn acne than any other demographic. Jojoba Oil balances oil production, acts as an anti-inflammatory agent to soothe irritated skin while the Vitamins A and E control acne and lighten existing manchas. 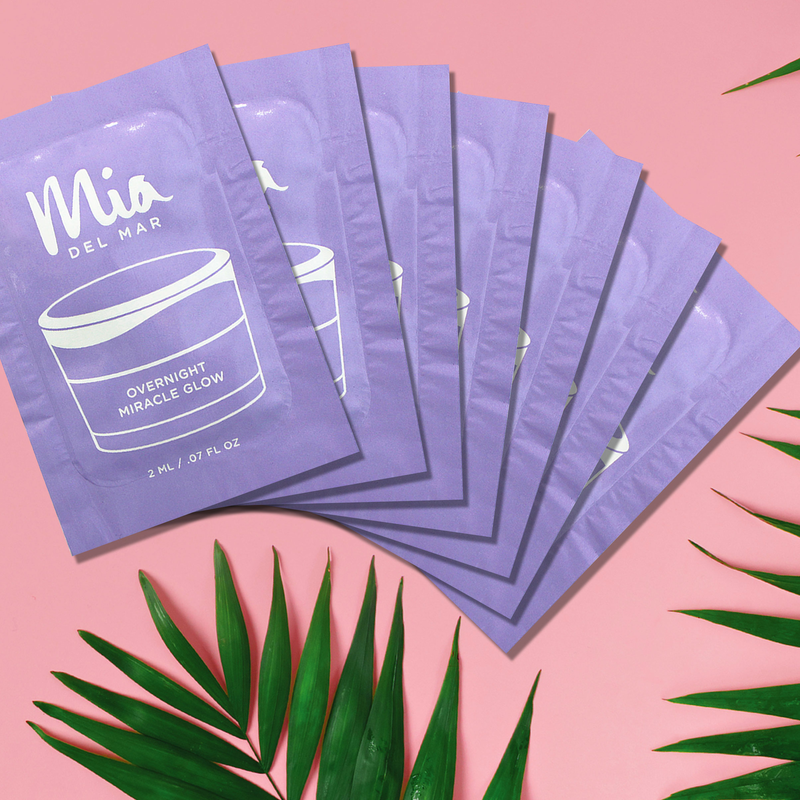 Somos Mia del Mar, the skincare brand that focuses on Latina-specific skincare issues and treats them with Latin-American ingredients. Read more and learn why Latina Representation Matters.